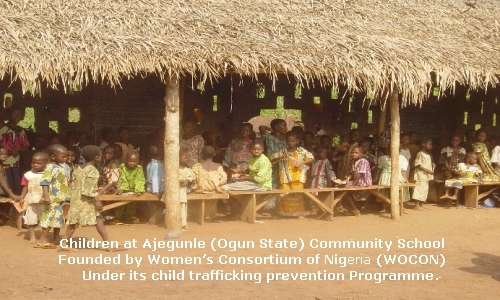 This site was designed by Wings of the Dawn International Institute for Children to showcase WOD 'WOCON' Project, a collaborative effort between Women's Consortium of Nigeria (WOCON) and Ajegunle Community. This project support WOCON effort in preventing child trafficking in Nigeria community. Effort is currently on the way to get supplementatal elementary and secondary level reading materials such as picture books, art and educational musical to support established school by WOCON as well as neighbouring schools and libraries, as we continue to encourage life long reading and learning habits among children of Africa.